Slovenia – Simply foodolicious! おいしい! 好吃! 맛있는! délicieux! delicioso! 好食! 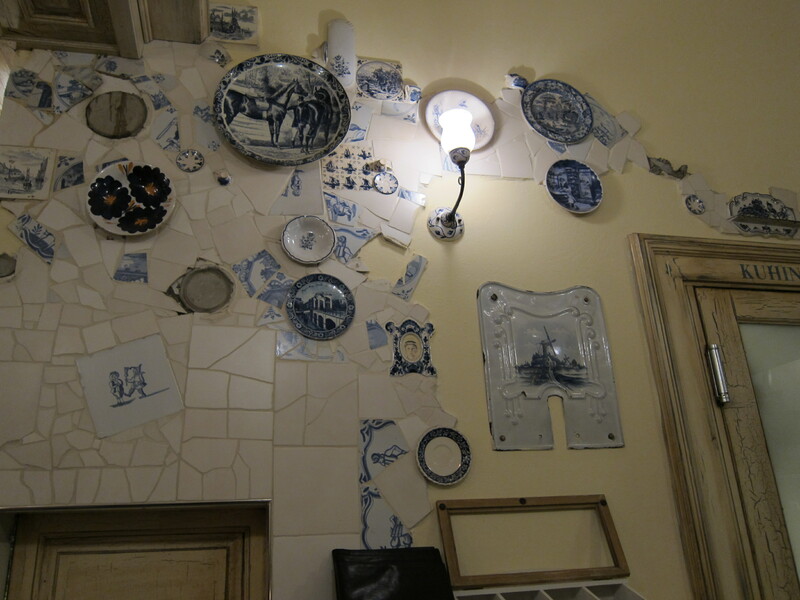 Vander is a restaurant present in a boutique hotel and has really stylish and cute interior. Food there is near impeccable and for its really reasonable price I would give it a rating of 5/5. Strongly recommended for a dinner and it only costs about €30 per person for a 3 course meal that felt like a michelin recommended restaurant. 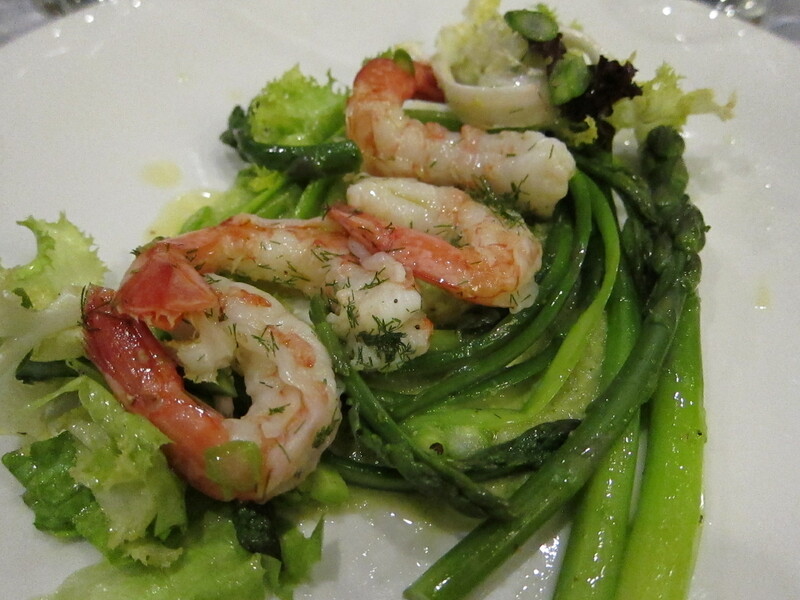 Asparagus appetiser with steamed prawns. Spectacular presentation and the prawns were just so fresh, succulent and juicy. 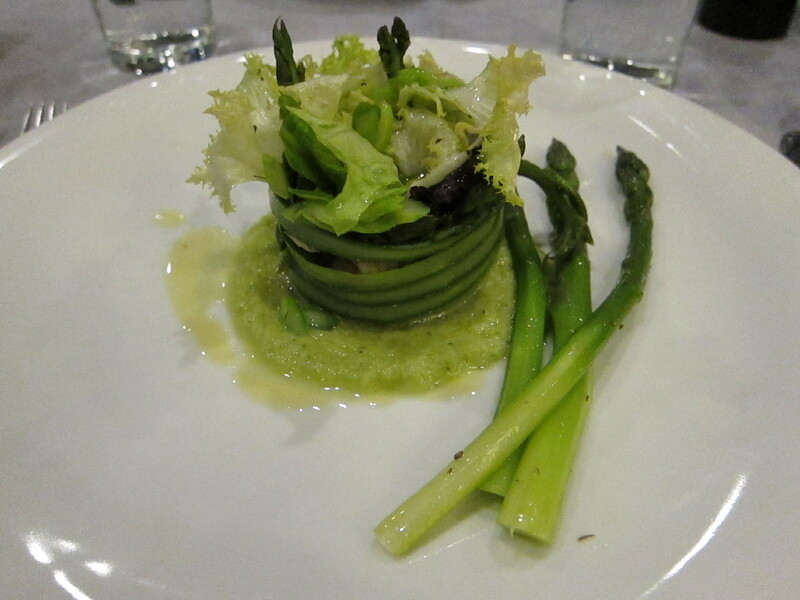 Asparagus was crunchy too and cooked to the right texture. Yummy and huge starters for just €10. 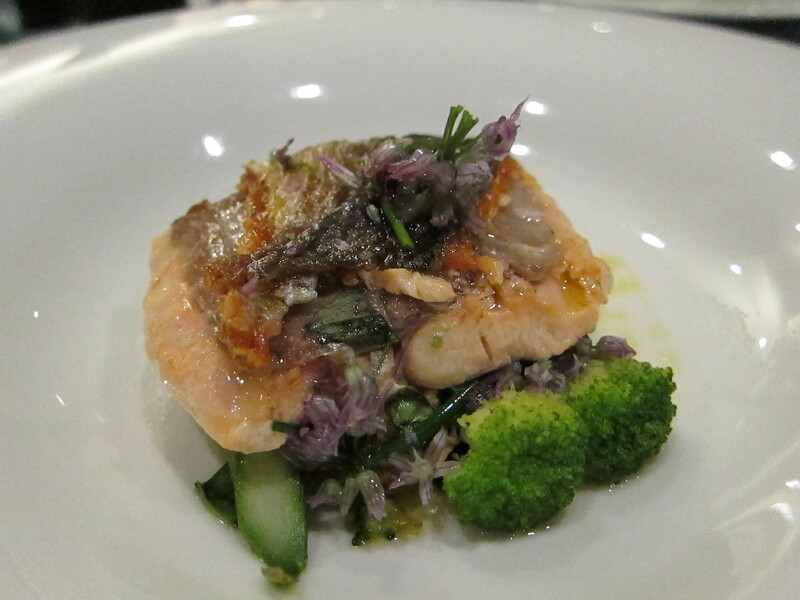 Pan fried salmon with spring flowers. Think the spring flowers made so fish so aesthetically pleasing. The skin was so crispy and really appetising with lemon juice on it. The meat was overcooked though but the zesty flavour made up for it. Really good appetiser again for €10. 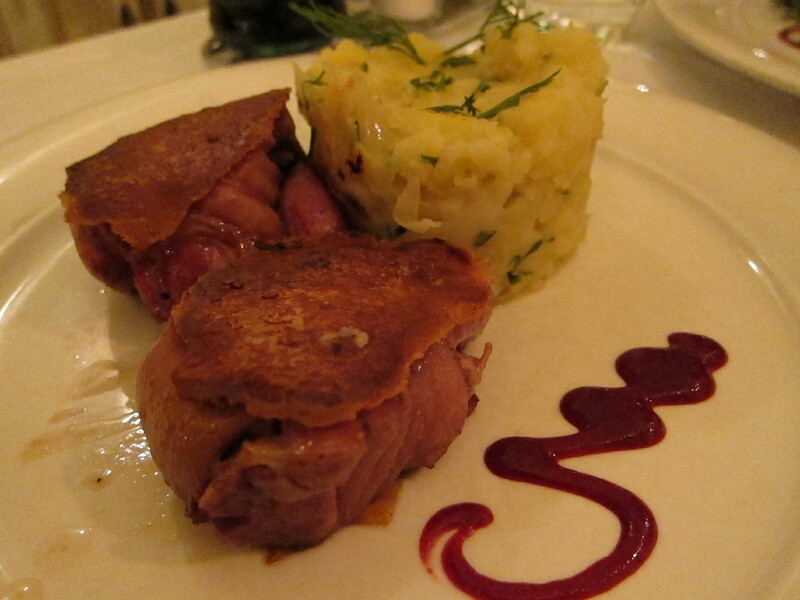 Traditional slovenian dish with a contemporary twist. 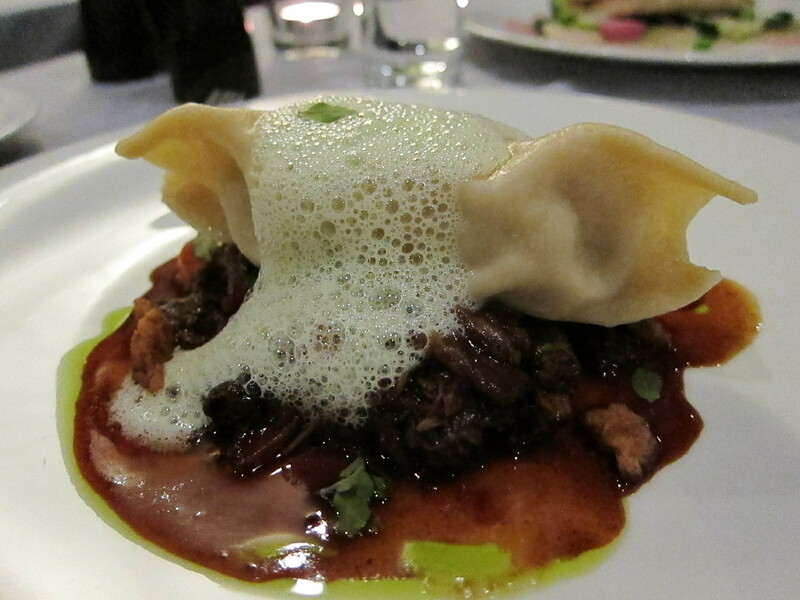 It resembles a huge chinese dumpling (wanton) on a bed of soft, tender beef. The wanton is filled with smooth and not too creamy mash which is quite yummy actually. A big, delicious main for just €18. 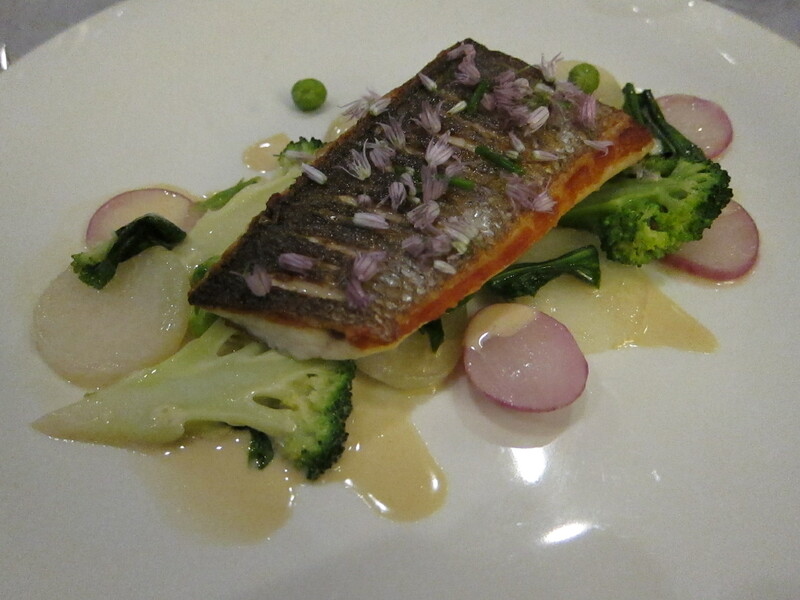 Sea bass with asparagus was well cooked too. Sea bass wasnt over cooked and soft in the middle. Skin was very crispy. Though the dish wasnt exceptionally exciting, it was still delectable. Lemon tart with meringe. Meringe felt creamy with a very good consistency and not too sweet. 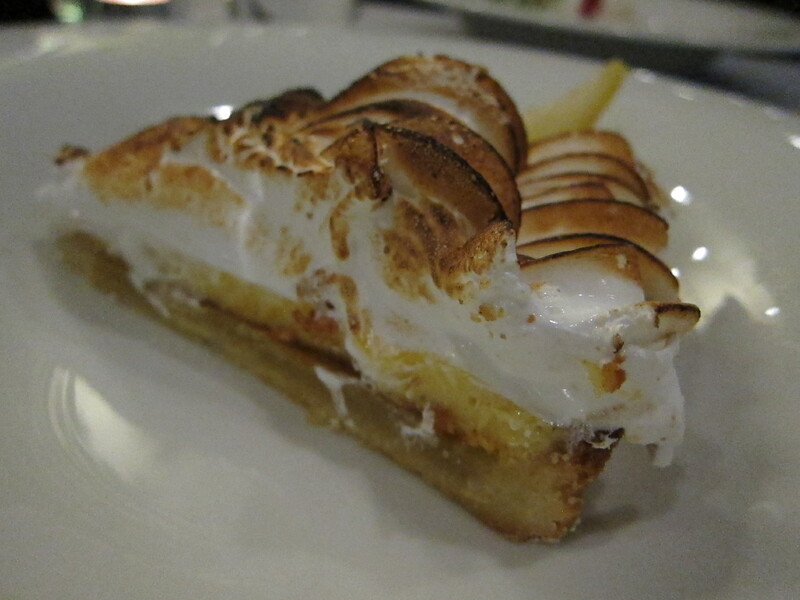 The tart was tasty and quite dense. Very good texture indeed. 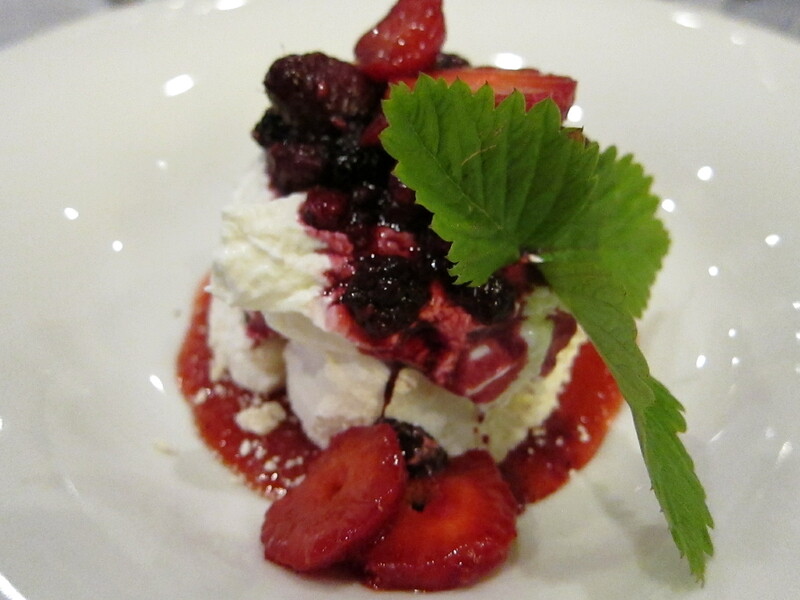 Pavlova cake with berries. Yummy, not too sweet and berries tasted fresh. Nice finish to the dinner. Was so glad that I went to this restaurant. Though slovenia may not have many restaurants, its really not hard to find good ones with reasonable prices! Pork and beef goulash. 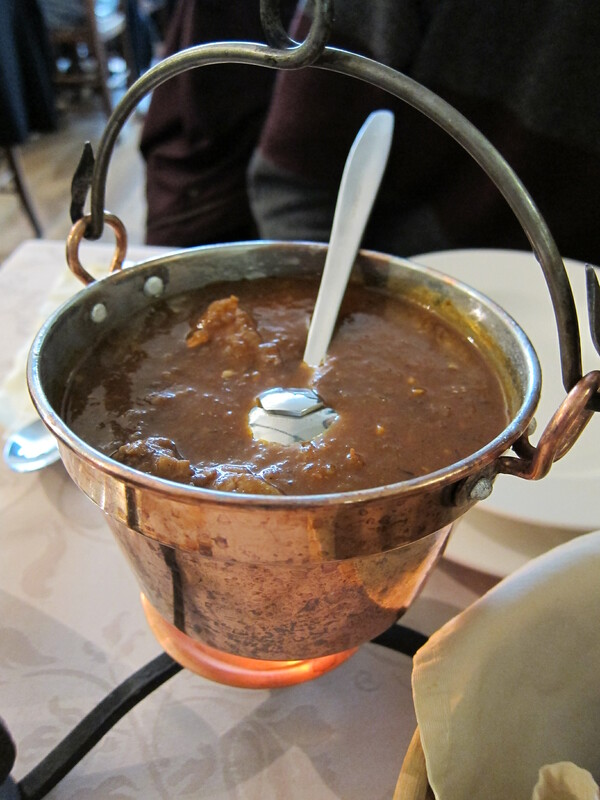 Tasty and thick gravy, with tender well stewed beef. Loads of beef in it for just €9. Pasta with ham and creamy sauce. Sauce was not too sticky and there are thick cubes of ham in it. Being not a fan of ham, I thought the ham had really good texture and I quite like it. 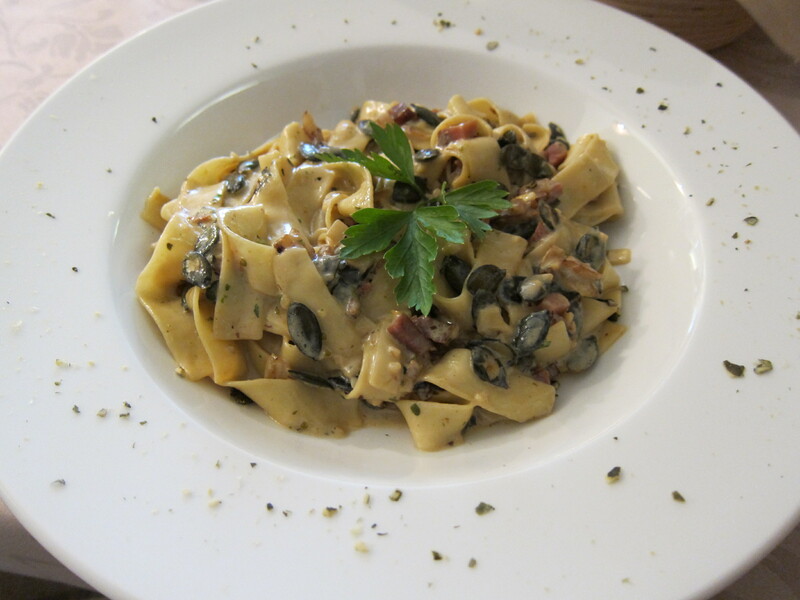 Love the pasta especially which has very good texture; springy and substantial amount. A very good main for just €10. 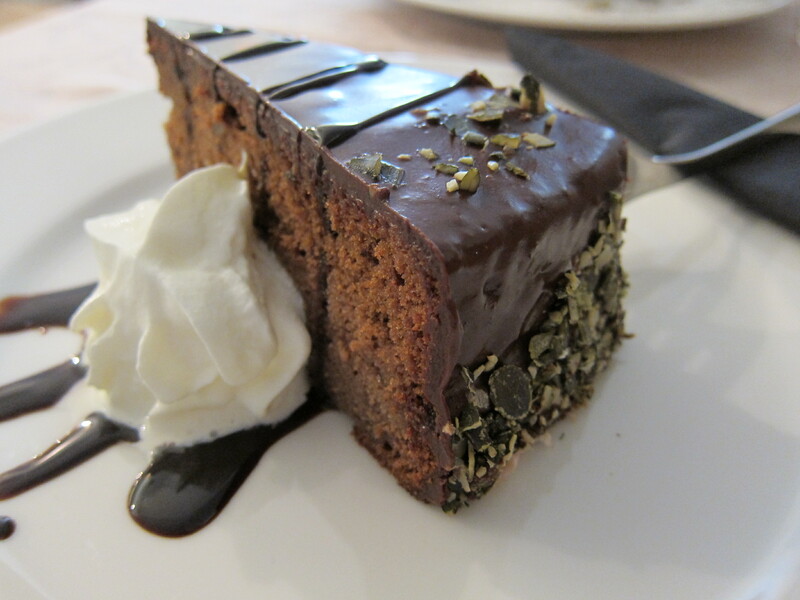 Chocolate cake has pumpkin seeds in it and thick theres a layer of rum in between the layers of cake which made it quite moist and not too dense. Quite a nice slice of chocolate cake that isnt too heavy for the stomach. Gujzina is a small cafe very suitable for a delicious, cheap lunch in slovenia. Only two waiters and thus service may be a bit tardy, but other than that this restaurant charges its delicious food at really reasonable prices. Recommended place for a meal! Garlic bread was warm and slightly crisp. 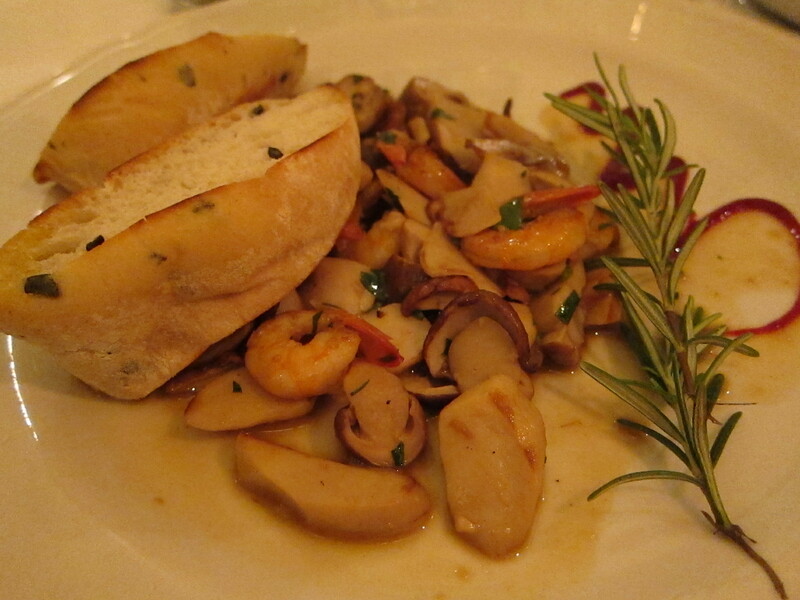 Mushroom was flavourful and tasted stir fried while prawns were a little small. Quite a good starters. Pork knuckle has crispy skin on it. Very very tender meat and can be deboned so easily. A little fatty and thats what pork knuckle is about. A little salty though I thought but that doesn’t prevent it from being a good dish. 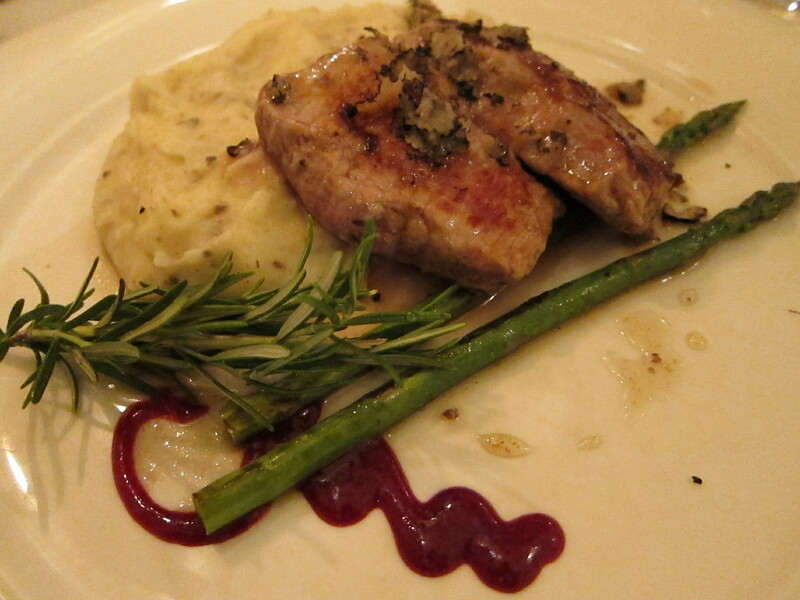 Veal fillet was a little over cooked but I love the mash with truffle oil and truffle. Very smooth, not too buttery and fragrant. Tasted like it has a little mustard in it actually. 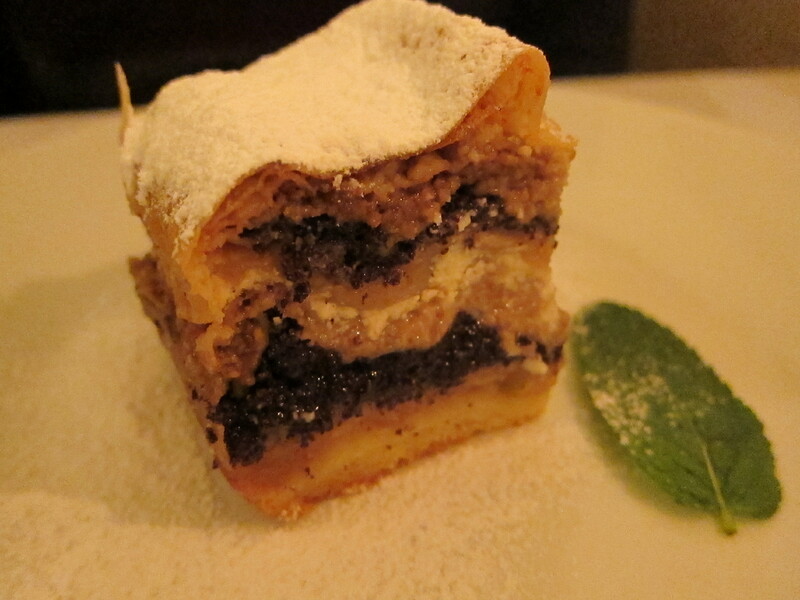 Traditional slovenia cake. Don’t really know what is inside but according to the waiter there’s cheese and nuts. Very soft cake, layered and there’s some bitty stuff in it. Tasted funny but in a delicious way. Not too buttery too. If you don’t see an English description, its that cake! Julija is a cute restaurant along the streets of the old town. Very welcomed by locals and a really busy restaurant among the less busy ones. A recommended restaurant to go to when you are in the capital of slovenia.